hot tubs- Sunny's Pools & More! Halloween is an exciting time of the year for children and adults alike. Sunny’s Pools & More in Michigan loves to share how you can decorate your pool for Halloween. Decorate your in ground or above ground pool or hot tub for Halloween. Incorporate your pool or hot tub into your Halloween themed event in a way that will wow your guests. Drained your pool already? Add red lights at the bottom of the pool. Your pool will resemble a red pit of Hell. If you want to make it over the top, a smoke machine in combination with the lights will really put it over the top. Add a chemical dye that will make your pool red. Also, not only will swimmers enjoy swimming in fake blood, but it is completely safe to use and non-staining. Add a fog machine that will dispense fog over the pool. This will give your yard a suspenseful look. This is always a popular option with the kids. One or two skeletons will set your party off. Place one or two skeletons in or around your pool. If you are really going for a spooky look, add some cobwebs to make the skeletons appear as if they have been there for a long time. The skeletons can go on flotation devices in the pool, patio chairs or just lounge poolside. Make your hot tub or Jacuzzi look satanic by placing candles all around it and adding red pool dye. Your hot tub will look like a boiling pot of blood within minutes with your new accessories. Stop by any of your local Sunny’s locations for more tips on how to decorate your hot tub or pool for the holidays! Finally, contact us and subscribe to our mailing list or learn about our creep crawly specials here. 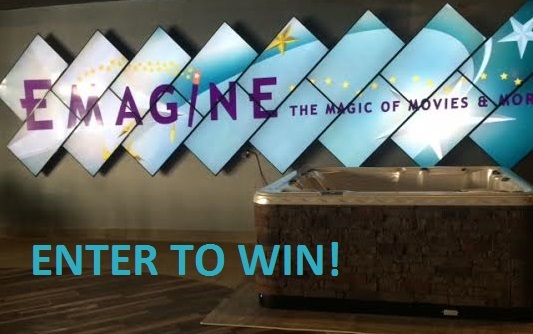 Viscount Pools and Emagine Theater Macomb Present Hot Tub Time Giveaway!! Viscount Monroe no longer has Billiards, refer to Waterford as clearance center for Tables. Hot Tub Time Machine 2, coming out February 20th, 2015. This hilarious sequel will have you going back in time and into the future with lots of laughs, steam and bubbles. Check it out at Emagine Theater Macomb on 15251 23 Mile Rd Macomb, MI 48042. Located on 23 Mile Road East of Hayes Road next to Kroger. Don’t miss out for your chance to ENTER TO WIN! Share with your friends after entering and you will receive more chances to win! We will be annoucing the winner the first week of April 2015, so stay tuned! Sign up for our e-mail list for other great offers and giveaways we have going on all the time! Viscount Pools West is going to be at the Novi Home Improvement Show at the Suburban Collection Showplace. Also, this year’ s show will run from January 23-25, 2015 in Novi, Michigan. The admission price is $10 per adult and $9 for seniors that are 55 and older. Children 12 and under are free. Every year the show is put on by the Home Builders Association of Southeastern Michigan (HBA). HBA is made up of builders, remodelers, property owners, developers, or suppliers in the construction industry. Come visit Viscount Pools West at the show for pool supplies, hot tubs, or billiards in Michigan! Finally, follow Viscount on Facebook! We are giving away cue sticks all month! How to winterize a hot tub! hot tubs for the winter. Here is the preferred way to winterize a hot tub. We feel that winterization should be left to the pros, and when done carefully using the following instructions your risk of damage from freezing can be minimized! Please note products doesn’t warrant against freeze damage in a tub that has been winterized, either by the owner or by a professional service center. (from the bowl container), and Time approximately 2 hours. *Instructions: Drain your tub. With a wet-vac, vacuum out of any water remaining in the foot-well and the seating. Then with each jet in the open position, vacuum each jet nozzle until no more water is being drawn out. DO NOT FORGET the small ozone jet in the foot-well. If your tub has a whirlpool diverter jet (all Hot Tubs have at least one) with a vacuum over the whirlpool jet nozzle (and plastic dishes over the suction intakes in the foot well) turn it to each position until there is no more water being drawn out. Remove your filter, clean it and place it in storage until you restart your tub. Pour the NONTOXIC antifreeze into the filter canister until it runs out into the foot-well of the tub through suction intakes. With the turkey-baster, squirt a small amount of NONTOXIC antifreeze into each jet. Usually, the side jets will take a round one ounce, and the whirlpool jets will take several ounces (about 5 squirts per whirlpool jet). DO NOT FORGET the small ozone jet that is located in the foot-well of your tub. Did you know that hot tubs and spas are not the same? Both hot tubs and spas are very relaxing. Both make great additions to your home especially if you are looking into increasing the value of your home. Don’t let the label of hot tub or spa determine your purchase. Choose your hot tub or spa based on the features. Learn about the differences between a spa and hot tub below. 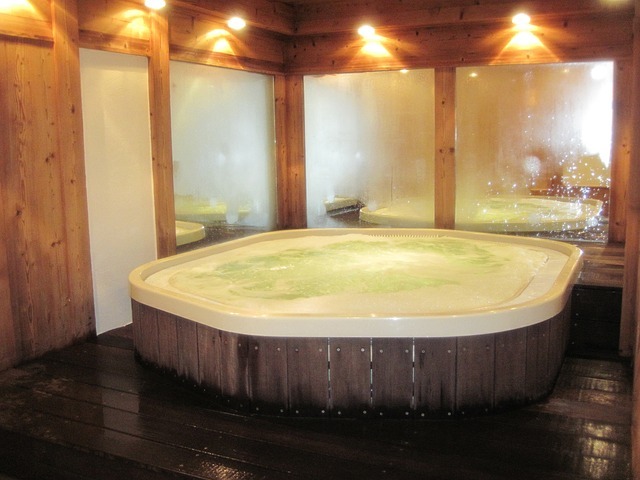 Most modern day hot tubs are constructed from different types of wood. Hot tubs can be made from oak, teak, cedar, cypress, or redwood. Even though every hot tub is not made of wood, chances are that if it is made of wood, it is a hot tub. Another key difference between a hot tub and spa is the way the water enters into the hot tub. Hot bubbling water enters into the tub from under and around the seats. Spas are made of materials other than wood. Also, Spas are made of molded plastic, acrylic, cement, or fiberglass. Built-in seats and water jets are characteristics of spas. Water enters into spas through the floor and seats, unlike hot tubs. Today, hot tubs and spas are being built very similar and a number of differences between them is shrinking. Pick your hot tub or spa according to the amenities that you want. How many people does my tub need to fit? What amenities must my tub have? Is my tub going inside or outside my house? Am I going to have my tub built in or do I want to keep it portable? 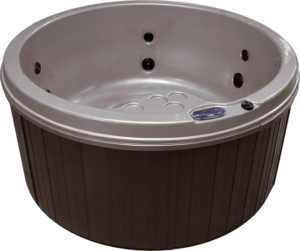 Viscount Pools West is your hot tub retailer in Michigan for all of your hot tubs needs. We also carry pool tables or pool equipment. We have five locations to best serve you. Get the good times rolling and contact Viscount Pools West today.